Yesterday morning was so cloudy and chilly. By 11AM the sun was out and the clouds were gone. It was a GREAT day for a run. I pushed Summer for the 7 miles along Griggs Reservoir and the hills kicked my but with the stroller. Good workout though, right? She was very talkative the first four miles then got antsy and tried throwing her water bottle out the side and after a few times of picking it up I put it back in the back pouch. I kept her distracted by asking where the planes were as they were coming in for landing. Fun times! Central Ohio is in the Slight Risk for severe weather later today and tonight, so stay weather aware. Spotty rain showers for the first half of your Thursday then a surge of warm air this afternoon with cloudy skies then storms pick up this evening and overnight. 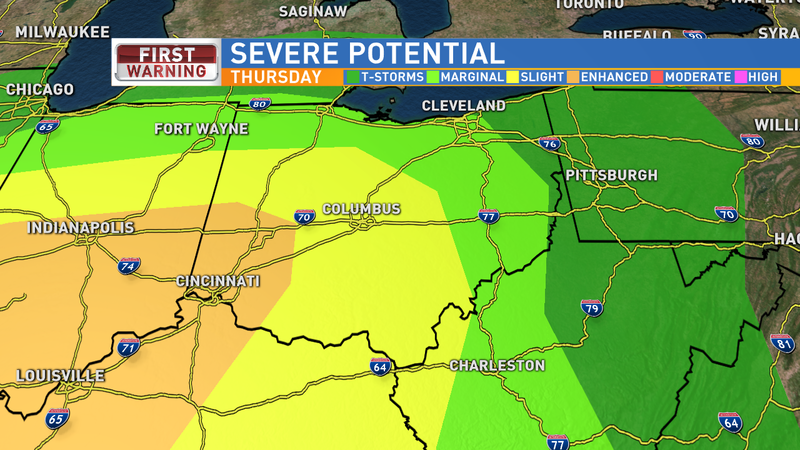 Strong winds, hail, and even the chance of an isolated tornado are possible with the stronger storms. By daytime Friday most of the severe threat will diminish, but lingering spotty showers with a few rumbles of thunder are possible. 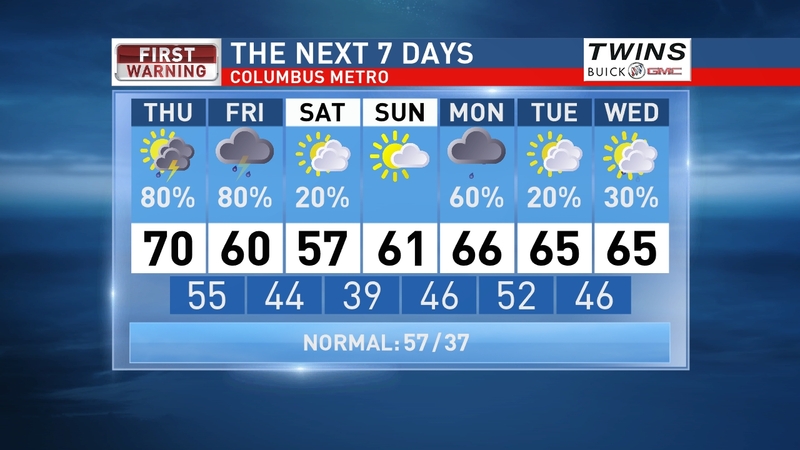 Drying out heading into the weekend and staying mild. More rain Monday. Have a good one! 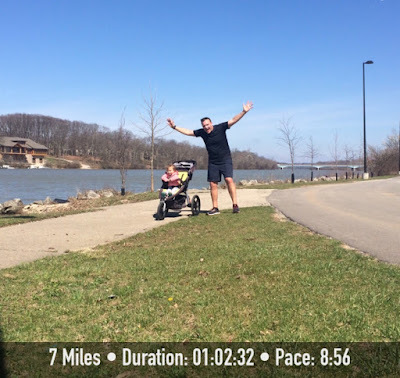 Long weekend run & warmer temps coming... kinda. Wintry week, but spring is only 4 days away!